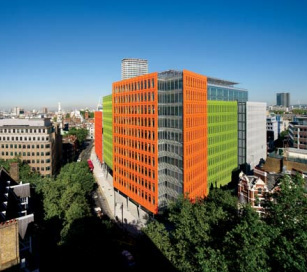 Central St Giles is the first UK project by Italian architect Renzo Piano. It is a step change development, notable for its iconic citrus façades, part of former mayor Ken Livingstone’s ‘London Plan’ and at the east end of the UK’s busiest shopping street, Oxford Street. There is much interest in our built environment and how it is helping us deliver against the carbon reduction agenda so developments such as Central St Giles are under the spotlight. In its role as an elite leadership organisation bringing together leading businesses to collaborate, innovate and create commercial opportunities through sustainability, Sustain Worldwide is hosting a press and invited guests visit with its premium member Climaveneta and L&GP to this inspirational development. We plan to take our guests into the space, hosted by the people who created it, to show how the building was designed and how the project was delivered meeting the needs of users, planning and building controls as well as hitting sustainability targets. Attendees will include key industry stakeholders and journalists writing in the property, architecture, sustainability and facilities management press.